★☆☆☆☆ Junk,may run for 10 min's or 2hrs.maybe 4 hrs.Normal 10 to 20 min's then shut's off. Red power light just blink's.have to turn it off and turn back on. MORE MADE IN CHINA JUNK. ★★★★☆ I am on my 4th year with this model heater. At 40 degrees outside it will maintain 75+ in a 16 X 20 room. I run it most of the time on the lower 1,000 watt setting. For those that claim it doesn't heat well, it's maximum BTU is 5,100. What can you expect!!! Read the directions. 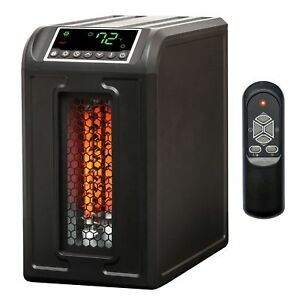 It is an "infrared" heater. It (like the sun) warms objects and does not itself get extremely hot. It must be left running to make everything in the room warm. You do not just turn it on to warm the room quickly. Use it right and it works well.